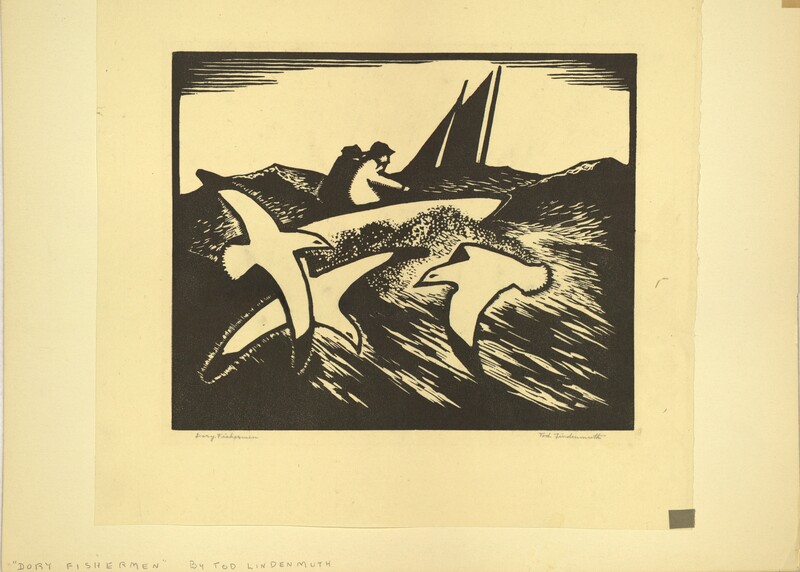 A woodcut entitled "Dory Fisherman" by Tod Lindenmuth. 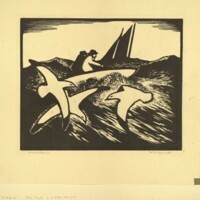 The woodcut depicts a person sailing a boat in choppy waters. There are three seagulls to the side of the boat, and the size of the birds makes the boat seem farther away than the birds. 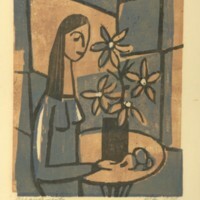 Lindenmuth, Tod, “Dory Fisherman,” Digital Exhibits, accessed April 22, 2019, https://cuexhibits.wrlc.org/items/show/198.